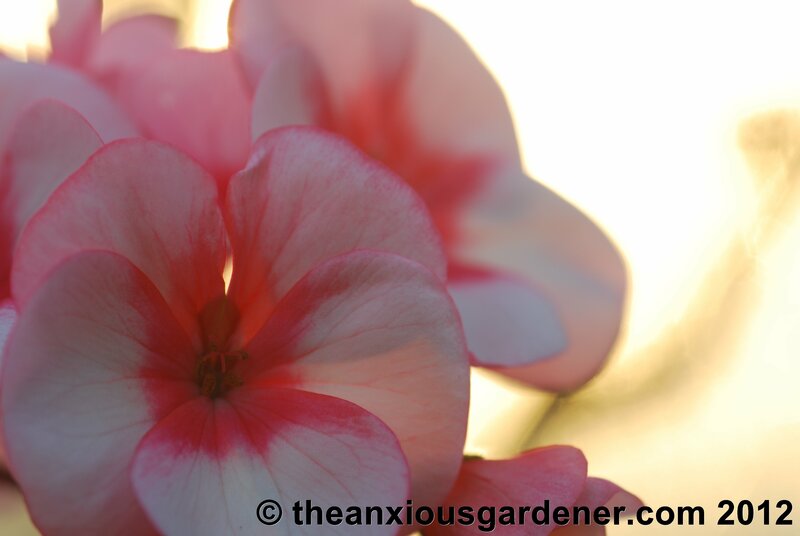 Last summer, I registered theanxiousgardener.com domain name and set up a WordPress account. I had increasingly heard how marvellous WordPress was in comparison to Blogger and, coupled with some very irritating problems that I had had with the latter, I decided (as many others have) to migrate over to WP. But then the sun shone, the birds sang, flowers opened and I sat about and drank tea (and beer) and did the thinking; I worried about transferring over to a new, unknown blogging platform and I worried about losing months of content and I worried about losing all my links. Got quite anxious actually. It’s very easy to convince yourself to stick with what you know and so … I stayed put with Blogger. However, over the past couple of months, I have continued to read and hear just how much better WP is than Blogger. Apparently. (A simple google search will reveal loads of articles explaining why). So finally, after much advice from Andrea Gracia (howdy and thanks), I have decided once again to make the transfer. (A post by Petra was the final nudge I needed). Hopefully, you need do nothing – (except update any links you might have to The Anxious Gardener and re-subscribe, should you want to, to either email updates or the new RSS feed). The transfer across will be seamless (uh huh, like really). It’ll take me a while to get theanxiousgardener looking how I want it, I suppose. But, bear with me. We’ll get there. It’s too late to go back now. You see I’ve clicked the button. The WP import from Blogger button. Crumbs, aren’t I the brave one? There may be a few teething problems but let’s see what happens. Fingers crossed, I’ll see you soon at theanxiousgardener.com. If not ….. Bye then. Ooh foolishly I commented on this post in your blogger site … which has promptly vanished. That will teach me not to keep up! The new blog looks great, lovely simple modern lines. We registered the hillwards.co.uk domain a few years ago when we moved here (about a year before I began blogging) and moving my blog over was on my list of things to do this winter. But it turns out that our isp doesn’t support sql databases so I can’t host my own wordpress through them. Needs a bit more investigating. Or changing isp, but that would be very reluctantly. Hmmm. Hi Sara, yeah some comments didn’t make it through the transfer I’m afraid, so thanks for taking the trouble to re-post. Hmmmm indeed. I’ve spent much of the past week going hmmm myself and trying to fathom some of the intricacies of terms I don’t really understand. I always thought I was quite bright and a bit of a techie – not any more! Hey Stranger Janet, well. I think the look will be changing on a daily basis as I get to grips with WP. Shamefully, my initial reaction was to go back to Blogger. It’s true – very shaming I know. But I’m getting more at ease with WP the more I play around with it. I think! Sorry I’m behind with blog visiting but a quick look-see tells me you’re back!! Glad you are – was a little worried. Well done Jane – I was beginning to get lonely …. Being curmudgeonly, I’ll tell you what I don’t like….I don’t like the text on the right and the sidebar on the left. I hear a little voice in my head shouting ‘justify left, justify left’, rather like a driving instructor…..Otherwise great, and welcome to WP, where I shall immediately set out to Follow you. Don’t worry Mr K. Pretty much all will be changed in the next few days as I get used to the weird and wondrous ways of WP and learn how to set up the theme I want. Why the sidebar is currently on the left – I have no idea, but it will be moved. Thank you for caring, my curmudgeonly friend. Go for it, Katherine. You know you want to! Could do 153 posts in a day if I wanted. Actually. Just don’t want to. Actually. But I might just do it anyway. Just to show you how particularly prolific I am. Probably won’t though. Might just go and have another glass of wine instead. You are here then … all present and correct, well done! Yeah, thanks Karen. Bit of a bumpy road and I’ve got tons of work to do to get the AG how I want it. Just as well it’s the weekend, eh? I've pondered the move, too. But like Stacy the transition process evinces reluctance on my part. I hope the growing pains are limited. Your new header looks great! Thanks GS. Lots of head scratching going on. New site looks like its coming along! If help needed, please feel free to contact us! Thanks Petra – may well take you up on that. Such a brave man–hope the transfer goes smoothly, Dave. I like the new look so far, fwiw. I've considered making the leap, but then it always seems like it will require a lot of thinking in the transition phase, and that puts me off… If you have any pearls of wisdom to share about the process, please don't hesitate. Hi Stacy, (I had to look up fwiw – how come I didn’t know that?). Pearl of wisdom at the moment is don’t do it! Haha. But I’m sure that’ll change. Thanks for your comment yesterday by the way – I’m afraid it and a few others got lost in the transition. Hi Janet, absolutely no reason why you should leave blogger if you don’t want to. I was sort of forced to by wanting to use theanxiousgardner.com. (It’s complicated). I’ll bear the online help in mind, Helen. Thanks. Good for you, who knows maybe I'll follow?